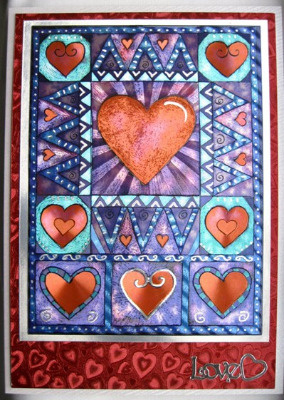 engraved collage-type picture of various hearts in red, teal and lilac, mounted on a background of red holographic hearts, matted onto a white shantung card. 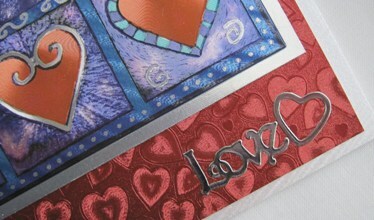 The word 'Love' is embossed at the lower edge, with a silver outline heart. The printed paper insert says 'With Love' or it can be left blank. 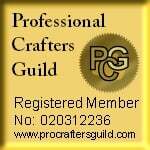 Please use the Personalise form for different wording.